LOUISVILLE, Kentucky (AP) — Papa John’s has reached a settlement agreement with founder John Schnatter that will see him step down from the company’s board. Under the settlement, Schnatter and the board will mutually agree on an independent director who will replace Schnatter on the company’s nine-member board. If a new director isn’t named prior to Papa John’s 2019 annual shareholders meeting on April 30, Schnatter’s term will expire at the meeting, according to a regulatory filing. Papa John’s International Inc. will remove a provision of a ‘poison pill’ plan adopted in July 2018 that restricted Schnatter’s ability to communicate with other shareholders. Schnatter still owns 31 percent of the company’s shares. 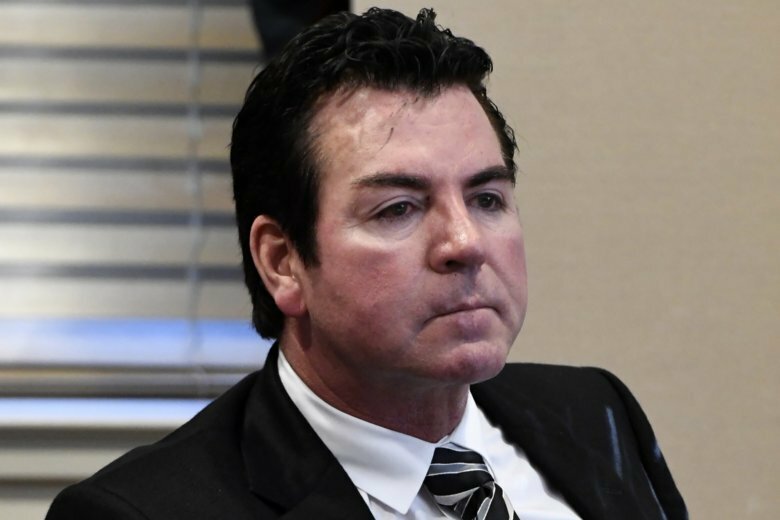 In return, Schnatter will withdraw two lawsuits against Papa John’s. One, filed in Delaware, had demanded records related to his ouster. The company will still comply with a judge’s January order to turn over those records. The other lawsuit was a property dispute filed in Kentucky. “I founded Papa John’s, built it from the ground up and remain its largest shareholder. I care deeply about its employees, franchisees and investors and I’m thankful that I’ve been able to resolve these important issues,” Schnatter said in a statement. Papa John’s had no additional comment beyond its regulatory filings, a spokeswoman said. Schnatter founded Papa John’s in 1984. It now has more than 5,000 locations in 45 countries. But he was already seeing his influence wane as the company tried to mount a turnaround. Papa John’s North American same-store sales dropped 7 percent in 2018 and were flat in 2017. By comparison, rival Domino’s Pizza said its U.S. same-store sales rose 7 percent last year and 8 percent in 2017. Last month, Papa John’s board rejected an investment offer from Schnatter, instead tapping the CEO of activist firm Starboard Value to become its chairman. Starboard invested $200 million in Papa John’s and named two others to its board, including Papa John’s CEO Steve Ritchie. Shares of Papa John’s gained $1.81, or 4 percent, to $45.20 in Tuesday midday trading.